I’m finally back to blogging after being busy on other projects! I’ve loads of ideas for future posts about art and creativity that I have picked up through reading, thinking and making. I’ll kick this off by revisiting a project I did some time ago on Georgian architecture. I had the opportunity recently of strolling around the streetscapes of Georgian Dublin. My attraction to the doorways of Georgian houses in the city centre is as strong as the first time I came across this beautiful architectural heritage. In architecture of almost all types and periods, particular attention is paid to the doorway as the entrance marks the division between the exterior and interior and divides the public and the private spheres. 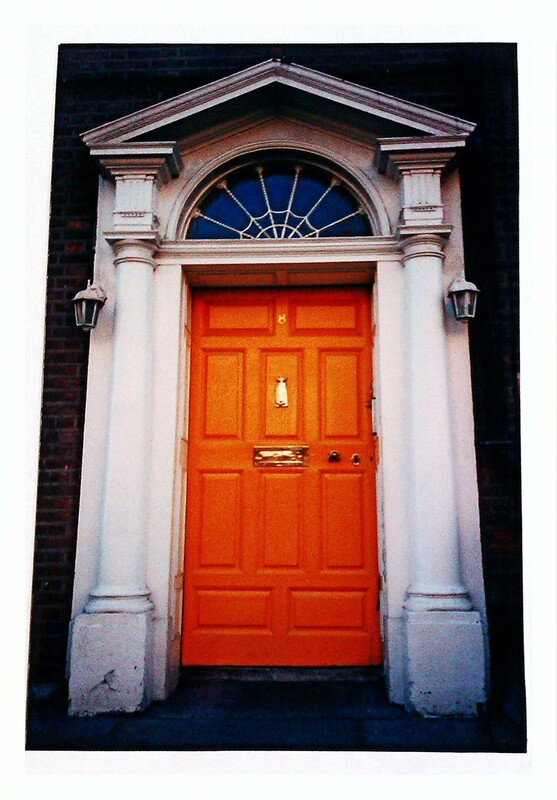 When you walk past the many Georgian doorways in Dublin, you first notice the colour of the door itself. There is real artistry expressed through the striking combination of door types, fanlights, sidelights, doorknobs, knockers and post boxes, all are highly individualized. Proportion is the essence of the Georgian style: the simple discipline of façade creates a generally unified, yet deceptively varied terrace streetscape. It is all in the detail! The most common classical decorations are plants, garlands, wreaths, animal and human figures. Geometric patterns such as keys, waves, interlaced ribbons, discs and rosettes are also widely represented. 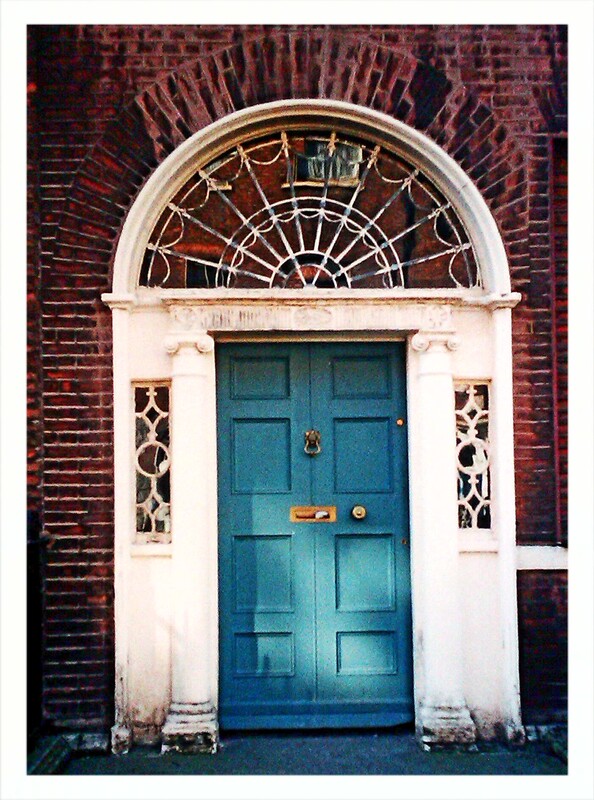 To see examples of early Georgian doors in Dublin you need to head to Henrietta Street on the North side not far from Bolton Street. Some of the doors there are tall and fill the entire opening and bear no fanlight. 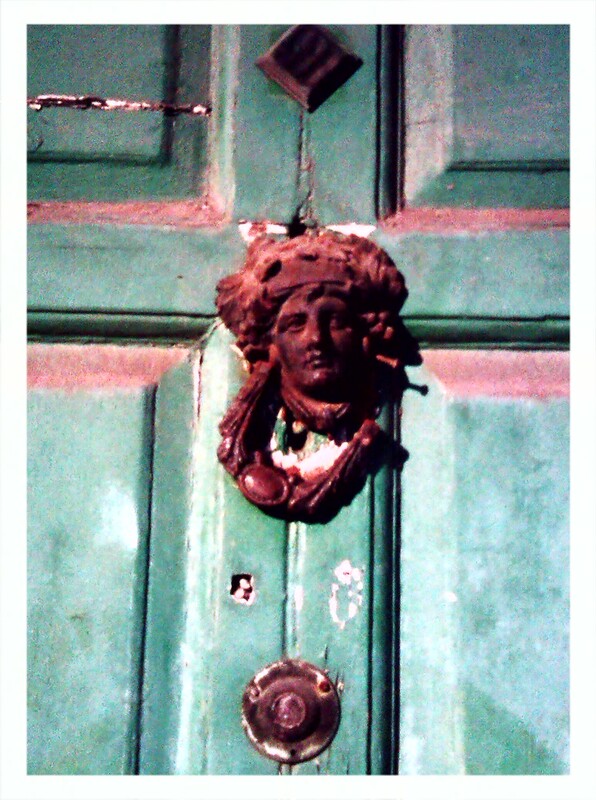 Trend for doorways with fanlights and sidelights appeared during the mid 18th century. It became quite popular as they allowed for natural lighting to fill the interior hallway. 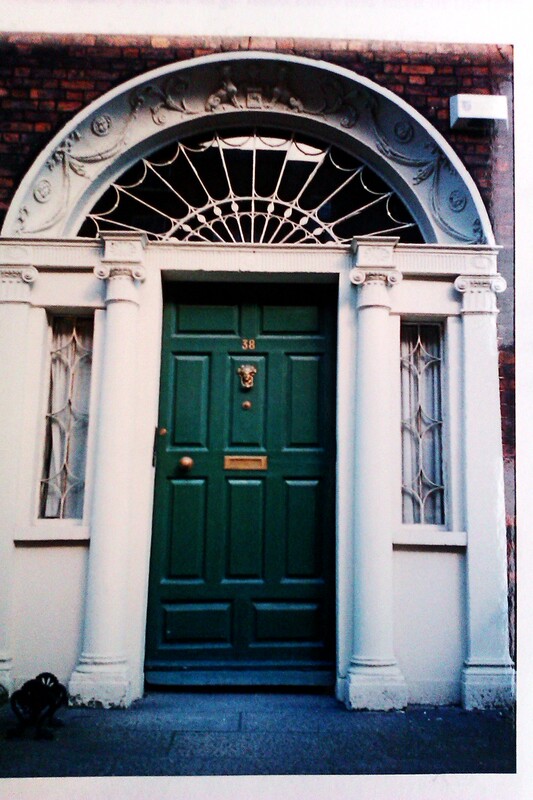 Some of the finest examples of Georgian doorways are on Molesworth Street, North Great George’s Street, Harcourt Street, Merrion Square and Fitzwilliam Square.